Laura Geringer Bass is the author of The Girl with More Than One Heart, a new novel for kids. 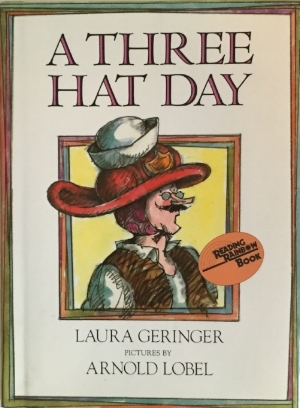 Her many other books include A Three Hat Day and Sign of the Qin. 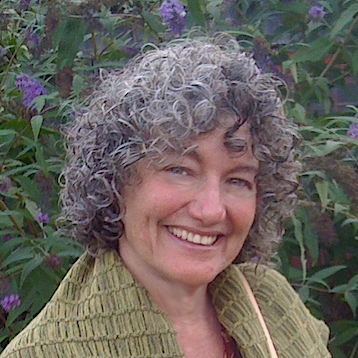 She was publisher of Laura Geringer Books, a HarperCollins imprint, for more than 20 years, and she lives in New York City. Q: You write that The Girl with More Than One Heart began as a memoir. How did you end up turning it into a novel? A: After my father died in 2008, I wanted to write a memoir about him. He was a storyteller and would tell just the right story at just the right time to my two sons, particularly to my eldest who had epic meltdowns when he was little. My dad called his stories “jokes" but they were really elaborate shaggy dog stories like “The Boy with the Golden Bellybutton” about a boy who was just like other kids except that his bellybutton was made out of solid gold. Sometimes the other kids would tease him about his bellybutton.The message of that story was it’s okay to be different. I taped my father telling his stories to my children, and after he died, I transcribed those tales and they became the heart of my memoir. I showed the book to my editor, the wonderful Tamar Brazis, who cried when she read it and asked me to turn it into a novel. I wasn’t sure how to write a book with fictional characters so closely based on my own family, so I put it aside for a while. One night I couldn’t sleep and when I sat down at my desk, the first lines of The Girl With More Than One Heart came into my head and onto the page. Suddenly, I had my heroine and also the engine of my plot—her extra heart that she imagines talks to her in her dad’s voice. From there I had to figure out what the heart would say and how it would help Briana navigate her grief. Q: How was the book’s title chosen and what does it signify to you? A: Once I discovered that Briana imagined she had “more than one heart” that talked to her, the title was rather inevitable. I never entertained any others in my mind. Although the book went through revision after revision and took me 10 years to write, the title never changed and neither did the opening sentences. We all sometimes imagine we need more than one heart to get through a crisis, something difficult in our lives. One of the themes in my book is the power of storytelling and one of my hopes is that my book will inspire and encourage the young people who read it to tell their own stories. Briana is a young writer and uses her creative gift for telling stories to weather her loss. 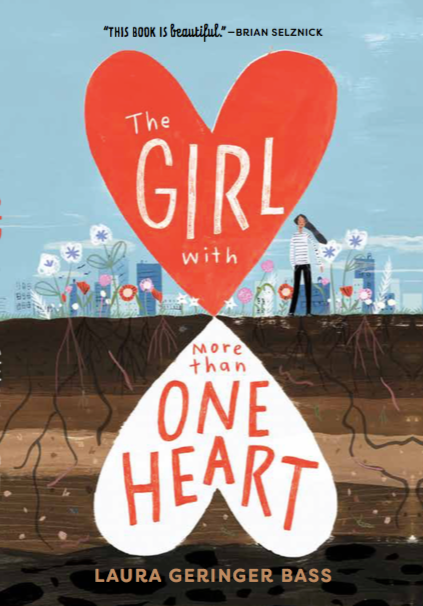 So the “more than one heart” in my title represents to me Briana's resilience, her capacity for kindness, her imagination and her ability to tell her own story and to listen to others with empathy. Q: What do you hope readers take away from Briana’s story? A: I hope my readers come away from my book with hope, most of all. I’d like them to feel that no matter what they’re going through at home and in school, no matter how hard and crazy things sometimes seem, they have the power within themselves to get through. Briana thinks up her second heart in part because she feels that her first is breaking. It doesn’t, though. It doesn’t break. She finds a way through. I’d like my book to strengthen the faith my readers have in themselves, the belief that they can navigate whatever life throws their way. Q: As a publisher, what changes have you seen over the years in the world of children's literature, and what do you see looking ahead? A: I left HarperCollins where I ran my own imprint, Laura Geringer Books, in 2008 after over 20 years as an editor and publisher there. I devote all my time these days to writing my own children’s and YA books and to teaching. I offer a writing class called the #BeYourOwn workshop with prompt cards based on my book, designed to help young people tell their own stories. First Book, a wonderful non-profit organization that has delivered over 170 million books to children in need, has just released an educator’s packet about The Girl With More Than One Heart on their website, which offers educators 32 #BeYourOwn writing prompt cards with instructions about how to use them plus two instructional videos presenting two remarkable mentees at Girls Write Now using my prompts to tell their own stories. I believe the future of publishing lies in stories like those my mentees tell--strong young voices from highly diverse backgrounds narrating their experiences with candor and power. I look forward to our increased capacity as a society to hear those voices. A: I’m glad you asked. My new novel is a fantasy. It’s rather comical and it's been a lot of fun to write. It’s about a novice Fate who has to pass her mother’s test in order to become a true Fate like her sisters. That test has to do (of course!) with storytelling, and with memory, both of which seem to be big themes of mine. The boys seek love. The girl seeks adventure. 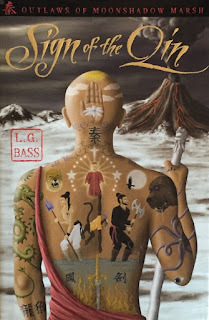 They meet in a very pretty endangered salt marsh and after a few false and wacky starts, become a fellowship of sorts with the mission of lifting the three curses. Onward to the witch’s garden but the witch is not the only villain. There’s a villainous leech, a King of Leeches to be exact, who plays a nefariously evil part in the story as well. A: I’m very excited about the new release of the audio book of The Girl With More Than One Heart read by the amazing Joan Allen (Tony award winner and three-time Oscar nominee). It’s now out on Audible. If you want to hear a teaser chapter as well as an interview of me by the great Lori Walsh on public radio, you can go to this link.